Every day people get addicted. Whether it’s alcohol, the so-called party drugs, opioids or prescription medicines. Every day families are devastated, relationships are broken, lives are changed forever. Babies and children are exposed to such behaviours, putting them at risk to becoming addicted as well. It’s a vicious circle that must be stopped. Abusing opioids such as heroin, morphine, and prescription pain drugs is a serious global problem that threatens health. Remember back in the late 1990s, when pharma companies reassured the medical community that patients would not become addicted to pain relievers? That caused a snowball effect with more and more healthcare professionals beginning to prescribe opioids and more and more patients normalizing their use and exposing themselves to addiction. Canada is in the midst of an ongoing opioid crisis with Vancouver sitting at its very core. In 2017, over 360 Vancouver residents passed away because of an overdose. That is at least one death every day. 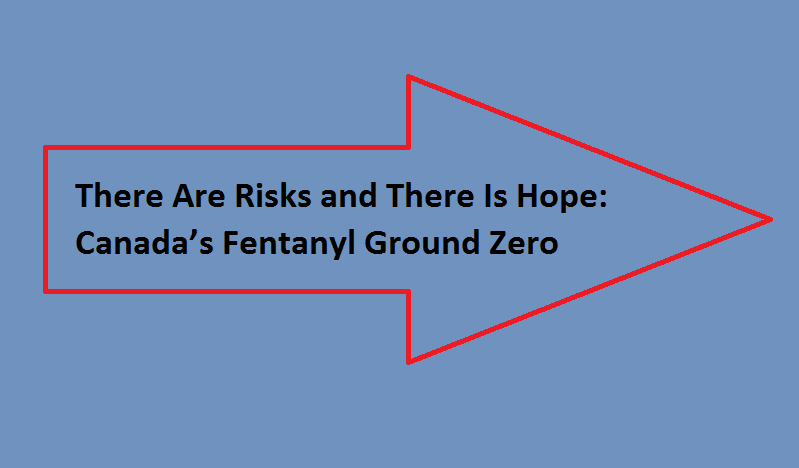 Investigations revealed that in approximately 84% of the cases, fentanyl was detected either alone or in combination with another drug. That puts Vancouver right at the top in a ranking of Canadian towns with the highest number of illicit drugs overdoses in 2018, followed by Surrey and Victoria. In a 2018 book –Fighting for Space: How a Group of Drug Users Transformed One City’s Struggle with Addiction, Vancouver-based reporter and writer Travis Lupicktells a chilling story of addiction and pain but also the power of collective efforts seeking to lend a helping hand to those in need. The action focuses on Canada’s ground zero for drug addiction – Downtown eastside Vancouver. In a place where purchasing everything from heroin and meth to OxyContin and fentanyl has been the norm since the 1990s. Travis highlights in his book how the introduction of fentanyl changed the game. It also shows the city’s long battle with overdoses and addiction. The situation is dismal all across Canada and not uncommon. Everywhere in the country, illicit drugs are being cut with fentanyl, which is between up to 50 and 100 times more potent than morphine and 30 to 50 times more potent than heroin. To put the threat in perspective even more: just 0.25 milligrams of this drug can kill you. Imagine that the standard baby aspirin is about 81 mg. If you were to cut that in 324 pieces, one of those tiny parts is enough to kill. Drug dealers do this because the process is cheaper and the effects are stronger. And it’s working out for them: during one month in 2016 , 86% of street drugs tested in Vancouver were laced with fentanyl. The situation gets even more critical as people turn to the streets in growing numbers to buy drugs without being fully aware of what they’re taking. From just over 1,700 samples tested, well over half (61%) did not contain the substance the user was looking for. But we all know addiction doesn’t work on rational and safe grounds. The risk of synthetic opiates lies in how it affects the body. By increasing dopamine levels in the brain’s reward centre, it generates instant euphoria which acts as a positive reinforcement to continue taking the drug. Misusing or abusing fentanyl not only causes addiction, but in many cases it has led to accidental overdoses. Particularly people who do not know how highly potent the substance is have been the victims. However, efforts are being made to address the ongoing issue of addiction and overdosing in Canada and particularly in Vancouver. The Government, the healthcare system and the city’s leadership have joined forces to respond better to the crisis. This includes addressing overdose through prevention and drug checking sites, funding innovative research, supporting mental health and treatment scale-up. Which are all nothing short than amazing news, yet the key decision-maker still remains the user. And that’s something for addiction recovery centres to fulfil. In order to overcome addiction, a user needs to be willing to fight and work towards change. In a 2017 survey by the Canadian Centre on Substance Use and Addiction, along with the National Recovery Advisory Committee it has been revealed that many times users are not even aware they have a problem, while other worry about stigma and not knowing where to turn for help. The survey involved 855 Canadians with just under 50% of respondents living in British Columbia and aimed to learn more about their recovery experiences. Experts reported with surprise that a gripping 83% of users faced barriers initiating recovery, with the biggest ones being that they felt they weren’t prepared to seek help or they did not consider having a problem (55%), followed by having to suffer through people’s stigma (50%). A lack of information (36%) and support (30%) were found responsible for delaying recovery. Almost half of the participants (49%) said they had to deal with stigma in active addiction. It’s important to acknowledge how attainable the solutions for these challenges can be. Addiction should be treated and perceived as an illness and that’s what many fail to understand. No one wants to have their lives depend on a substance and ruin everything around them. As a matter of fact, 54% of people who were in rehab reported experiencing few or no barriers in keep on being clean and 51% said they did not have a single relapse. How encouraging are these numbers? Individuals with addiction disorders are more than capable of changing and evolving and they should be offered that chance. Another 47% of users reported having experienced challenges in accessing the right treatment, with most reasons being associated with cost, diversity, quality or lack of mental health support. In light of these eye-opening findings many recovery centres have implemented multi-approached tailored programs to help the growing number of users. Because healing should always start with admitting the problem and seeking help, easy to access services and helpful and understanding personnel are essential. Anyone can get help today, it’s that first step that’s the hardest.